The California Employment Development Department can issue a Notice of Levy to attach the credits or personal property of any delinquent account, either active or inactive. The Notice of Levy may be made upon financial institutions, including banks, credit unions, trust companies, savings and loan institutions. For these institutions, the Notice requires that any funds held at the time of receipt of the Notice be remitted to the Employment Development Department. Notice can be imposed on the third party accounts receivable. In such cases a third party is served with the Notice and must surrender assets within five days after the assets are payable to taxpayer. Notice can be served on Credit card Processors and it will remain in force for one year, and can be renewed. The Unemployment Insurance Code (UIC) section §1755 directs that the Notice of Levy must be served on taxpayer in person or by certified mail not later than three years after the required payment of any contributions, penalties, or interest became delinquent because taxpayer failed to pay them. Or, a Notice must be served within ten years from the recording of a judgment or the filing of a Notice of State Tax Lien. A stop notice (mechanics lien under California law) has a priority over Notice of Levy under California Civil Code §3193, meaning that a proper filing of mechanics lien under state law will override EDD's Notice of Levy. The Notice of Levy requires approval of Tax Compliance Supervisor or lead and the amount shown on Notice includes non-final amounts. A Notice can be mailed certified mail with return receipt if sent to other than a bank or financial institution. If it is served in person, then recipient will be asked to sign and date one copy for EDD filing. If the garnishee (taxpayer) does not sign, this fact is noted on the form. If a partial payment or payment in full with guaranteed funds is received from other than the Notice of Levy, then the EDD issues an Amendment to Notice of Levy (DE 8016). If taxpayer does not make levied payment or personal property the taxpayer becomes liable for the value of credits (payment amount) or other personal property up to the amount specified in the Notice of Levy. To issue another Notice of Levy. If Taxpayer files bankruptcy, then EDD must verify date and time of the filing. Please note that EDD will not automatically release a Notice when the taxpayer files bankruptcy after the Notice is served. If accounts receivables are levied, after Notice of Levy is paid in full EDD releases all accounts receivable. To release or modify Notice of Levy, EDD uses form DE 8016. Notice of Levy can be released in whole or in part. In cases of modification or partial release, the taxpayer levied will receive a letter instructing that the sum was released and that the balance of the account must be paid in accordance with the original Notice of Levy. 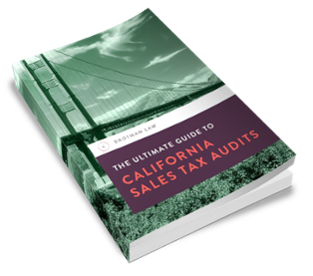 If you're facing a sales tax audit from the Board of Equalization, our free guide will teach you exactly what to expect and how to prepare. Click the book below for some peace of mind.